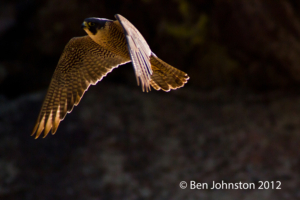 Numerous formations in the Flatirons are closed to climbing every year from February 1 – July 31 to protect birds of prey. 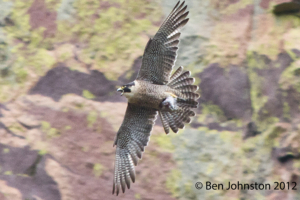 The closures have been in place for decades and have helped falcons, eagles, bats and other bird species reproduce and raise young without disruption and restore populations. The formations are monitored for nesting activity by OSMP staff and volunteers and closures dates may change. Trails can also be closed for construction and repairs, which may affect access to climbing formations. The Bear Canyon Trail west of the Mesa Trail is closed 24 hours a day and is expected to continue through November, weather permitting. This affects Overhang Rock and other formations accessed from Bear Canyon. Other trail closures and intermittent trail closures will occur on trails in the project area; details can be found at www.osmpprojects.org. September 4 to December 1: The NCAR-Table Mesa/Bear Trail will be closed because of Xcel electric construction work. The NCAR-Bear Connector Trail may see intermittent, full-day closures because of this work. September 5 and September 6: The NCAR-Bear Canyon Trail, the NCAR-Bear Connector – along with a Mesa Trail section from NCAR to Fern Canyon – will be closed because of Xcel-related electric work. Mid-September through Mid-November: The NCAR-Bear Canyon Trail between Stony Hill Road west to NCAR-Bear Connector will be closed 8 a.m. to 5 p.m. Monday through Friday. This closure will help OSMP complete some of the department’s final 2013 flood-recovery work to repair trails and restore wildlife and plant habitats in the area. Lefthand Canyon Palisades, at the intersection of Lefthand Canyon Drive and Olde Stage Road (Buckingham Picnic area remains open). Fern Canyon, north of the Fern Canyon Trail, including the Nebel Horn Ridge, East Ridge, the Goose and the Goose Eggs (the designated Fern Canyon hiking trail remains open). The entire Mickey Mouse wall, including South Tower, Industrial Wall, North Tower, Central Tower, Ship’s Prow, Wall of Shiva’s Dance, The Gargoyle, the East Face and Cryptic Crags. Third Flatiron, including the Queen Anne’s Head, W.C Fields Pinnacle, 1911 Gully and the Ghetto, the East Bench & West Bench, the East & West Ironing Boards, The Fin, Green Thumb and Jaws. Information on OSMP wildlife closures, which help to protect sensitive habitats, can be viewed at www.osmpwildlifeclosures.org. 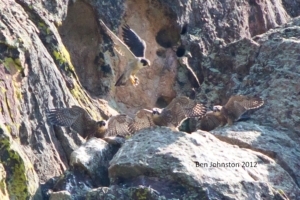 Learn more about the wildlife protection efforts in OSMP’s Safeguarding Boulder’s Birds of Prey video series.